"The American Library Association's Washington Office was established in 1945 to represent libraries on Capitol Hill, and now consists of the Office of Government Relations (OGR) and the Office for Information Technology Policy (OITP)." "District Dispatch is the official blog of the American Library Association’s Washington Office. If you want to know what’s going on in Washington from the library perspective, this is the one page you need to bookmark, rss, or subscribe to for email updates." Why Become an ACRL Advocate? Serving as an ACRL Legislative Advocate is a great way to help keep our elected officials aware of how important libraries are to serving the needs of students, faculty, and staff and thus, in turn, how important libraries are to the success of our state and our country in an increasingly complex and globalized society. No political connections or great rhetorical skills are needed. - Tim Dodge, Auburn University. Included in this report are detailed listings by Congressional District of LSTA funds and how they have been used by Alabama's public libraries. Very useful information for demonstrating the importance of LSTA funding. Click on the "Publications" button in the upper right. What Is the #1 Rule of Advocacy? "The ALA Washington Office believes that civic involvement is the best way to make a difference for your library. Whether you're a librarian, a business or simply a concerned citizen, there are myriad ways to make your views known to legislators on Capitol Hill." The Alabama ACRL (AACRL) Government Relations Committee works to address legislative issues of importance to academic and research libraries. Check the AACRL web site for further information and to volunteer for the service on the Committee. You can also find the Committee on Facebook by searching for "Government Relations Committee of the Alabama Chapter of ACRL." The Legislative Development Committee of the Alabama Library Association works to advance legislative initiatives important to Alabama libraries and their users. For information on becoming involved, check the Association web site. 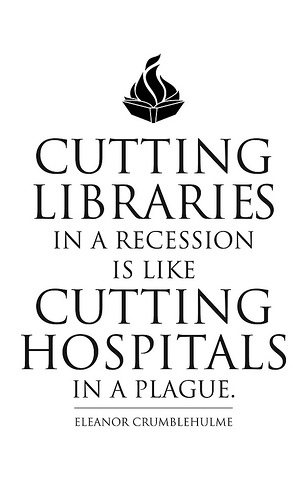 From the American Association of School Librarians.